When a naval cruiser sinks in mysterious circumstances in the North Sea, all aboard are lost. Rose is saddened to learn that the brother of her friend, Keisha, was among the dead. And yet he appears to them as a ghostly apparition, begging to be saved from the coming feast... the feast of the drowned. 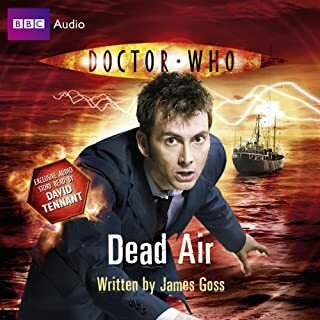 As the dead crew haunt loved ones all over London, the Doctor and Rose are drawn into a chilling mystery. What sank the ship, and why? When the cruiser's wreckage was towed up the Thames, what sinister force came with it? The river's dark waters are hiding an even darker secret, as preparations for the feast near their conclusion. 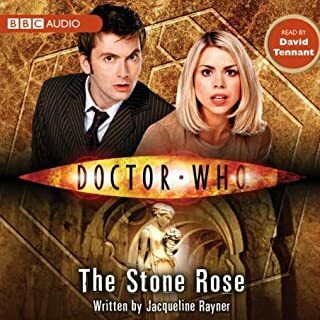 Featuring the Doctor and Rose as played by David Tennant and Billie Piper in the acclaimed hit series from BBC Television. The title speaks for itself! 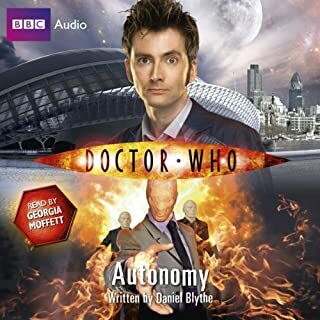 Narrated by David Tennant, it feels like you are watching the shows again he narrates so well! David easily slides into the roles of Rose, The Doctor, and Mickey without slipping a beat and he has even THEIR personalities down! As the Doctor states it - "FANTASTIC!" 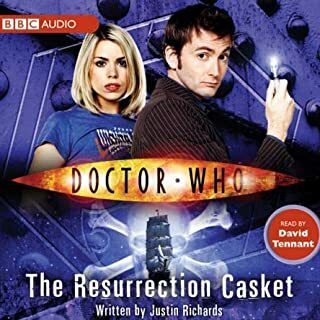 You just can't go wrong with a ghost story, especially when it envolves Tennant's Doctor, Rose, and Mickey! Even if you've read the book, listen to this anyway. As usual, David Tennant's enthusiasm really makes this audio (and his immitation of Mickey is right on!). It's great just to listen to him read this story as a Doctor Who fan. This audiobook is amazing. I love the show and am now falling in love with the books. This is the first book I have read or heard, I guess. I really like that David Tennant, or the Tenth Doctor, read this one. He brings such great inflection to the different characters. I really injoy the fact that when he reads the Doctor he uses his "Doctor Voice" as I call it and when he narrates he slips back to his Scottish roots. I recommend this to any and all Doctor Who Fans its Brilliant!!! Brilliant! 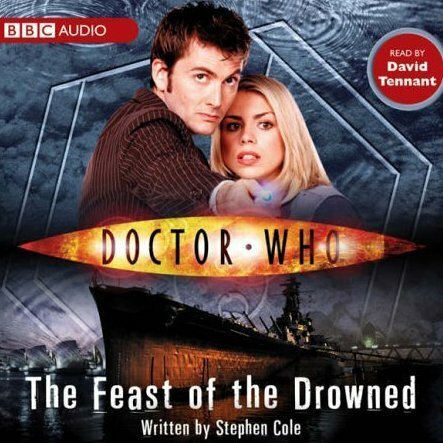 It's always exciting to hear David Tennant bring the Doctor to life once again and his performance in The Feast of the Drowned is no exception. This is a really fascinating, slightly creepy story that reminds me just a little bit of Waters of Mars. If you're a big fan of Ten/Rose, you will love love love this story. I listen to this book over and over and over again. 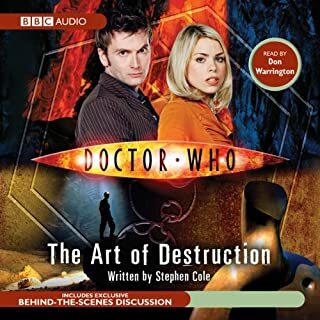 I have yet to listen to a Doctor Who novel that was worth my time, and yet I keep trying. I love the television show and keep hoping to find an audio book that captures that same magic. This one did not though it might have been a half-decent tv script. But at least I got to listen to David Tennant. The true character of the tenth doctor. The only thing that would have made it better was if we could have had Billy Piper read Rose! 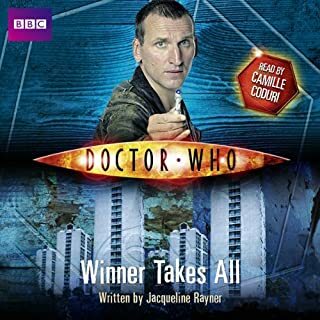 Love to hear him switch between the his native Scottish accent as the narrator, to his Doctor, to Mickey, to Rose, to the other characters and monsters...just a really good time! I enjoyed the story, and would listen to it again. What did you love best about Doctor Who? I can't say enough about David Tennant's performance. the Story was good. This one is set in modern times and involves Mickey. It's wonderful to spend more time with characters I love even after they have left the show. I really do miss Rose as a companion for the Doctor. These books help fill that void left behind when Rose left the show. This one I enjoyed for the fact you got to see some of the friends and life Rose has back home on earth. It rounds our her world and gives it more depth. Very helpful to the fandom to see more of our companions. Plus you can never go wrong with David reading out his fellow cast members parts. He does such a great job.